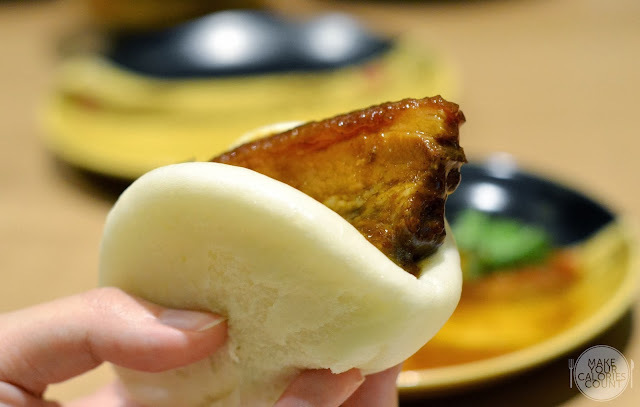 [SG] Paradise Inn | 乐天 - calories-worthy casual Chinese dining! 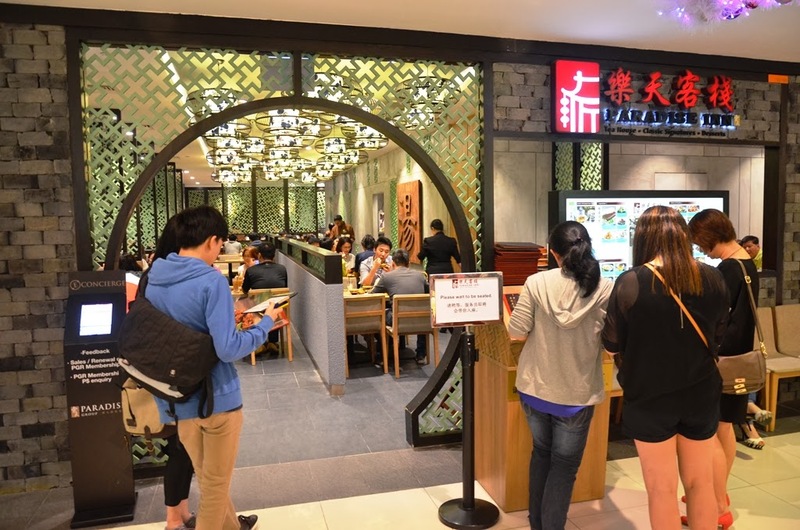 Paradise Inn is a familiar name with most Singaporeans with its offering of simple, affordable yet charming Chinese cuisine. 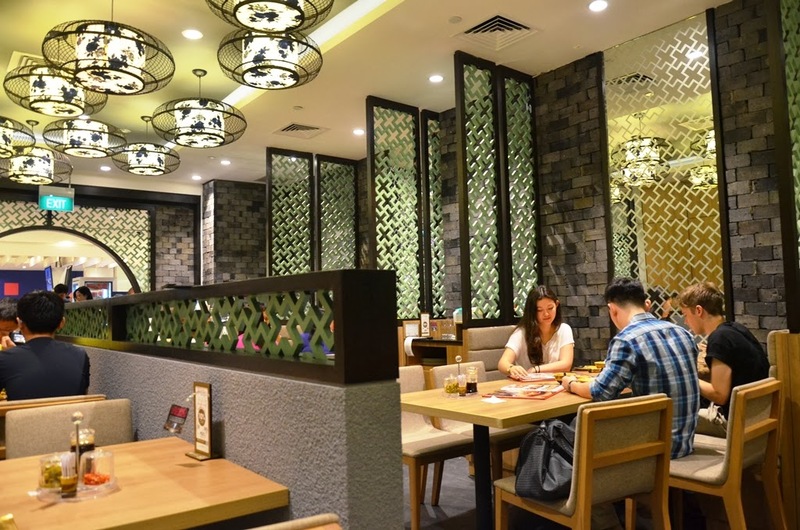 The traditional concept of a Chinese inn is elevated to another level of sophistication as it carries a contemporary Oriental ambience such as lanterns and stools. 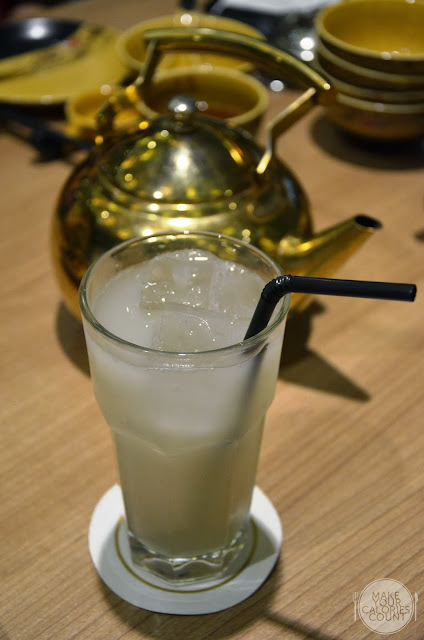 It reminded us of our recent visit to another Chinese casual dining restaurant, Dian Xiao Er. 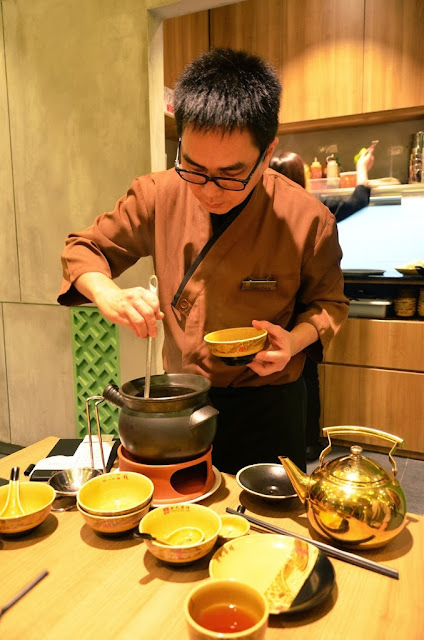 In addition to serving Chinese fare such as double-boiled soups in a relaxed ambience, Paradise Inn also specialises in serving teas infused with fruits, herbs and flowers. While there was a queue when visited the branch at Marina Square, the wait was a mere 10 minutes due to the quick turnaround. Are we off to a calories worthy meal? The pot of goodness was sufficient to feed four people with double servings each. 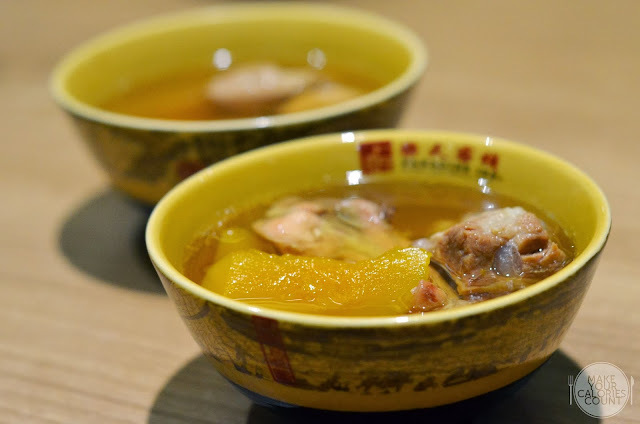 The double-boiled soup, which has been simmered for at least eight hours, was generous in portion so expect to fill your dining guests' bowls with the ingredients such as spare ribs and pumpkin. We opted for a lighter soup as opposed to the classics which typically have stronger herbal ingredients. For those who appreciate and value their calories, this would be one of the most sinful appetisers but I guarantee that it is surely a worthy bite. While I enjoyed the layer of lean meat nicely complemented by the juiciness of the fat, I found the savoury oomph factor to be slightly lacking. I would have preferred a slightly stronger punch to make me go wow. So simple yet so good. 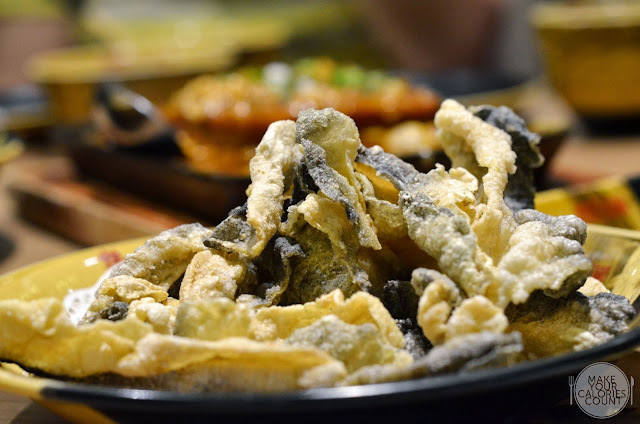 The fish skin was delicately deep fried to a nice level of crispiness without the grease. 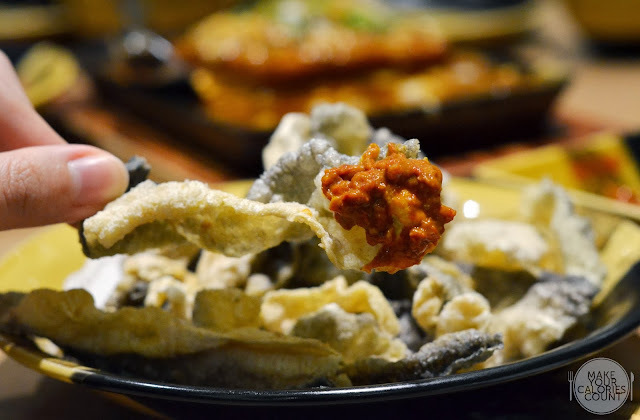 If you love your belachan chilli, you would surely enjoy this snack! This would appeal to those with a palate for stronger tastes. 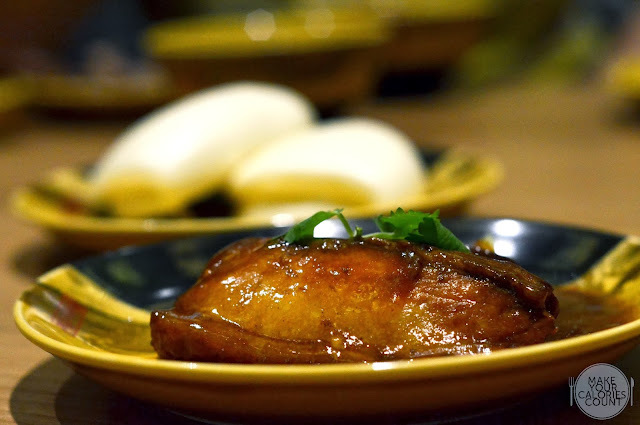 The use of kampong or more sophistically phrased, free-range chicken made all the difference. The meat was tender and juicy minus the fat. It had quite a love or hate relationship among the diners on the table as the fragrance of the ginger could be rather strong for some. A simple homely dish executed well. 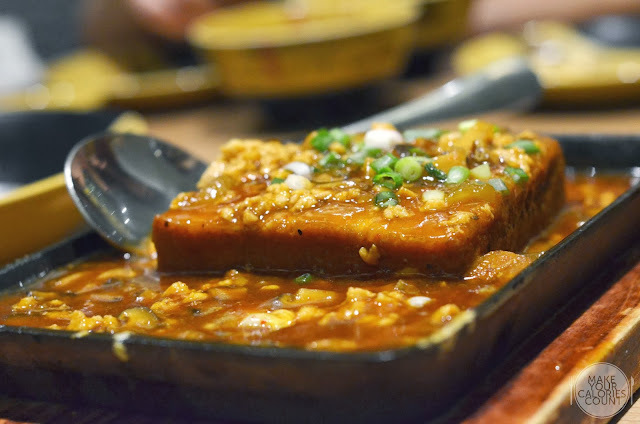 The slab of tofu on the hotplate was soaked in a savoury brown gravy with minced pork. It was soft on the inside without tasting overly mashy and had just the right level of firmness to retain its hold. The minced pork helped gave the tofu a nice rustic touch. Coating the hotplate is a generous layer of omelette. Absorbing the gravy, it was a beautiful dish to go with some white rice. 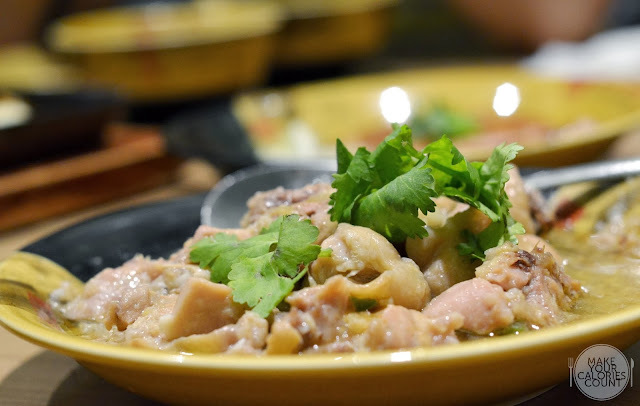 Our visit to Folks Collective for their grilled pork neck was quite a disappointment. So I was a little skeptical to be trying this Thai-style dish in a Chinese restaurant but when the craving urges, I had to give in! I simply loved the fine marbling of fat which makes it tender and moist. It was grilled beautifully and while it was a simple dish, I enjoyed the execution. There was a nice thin layer of crispness to it which made it salivating good! 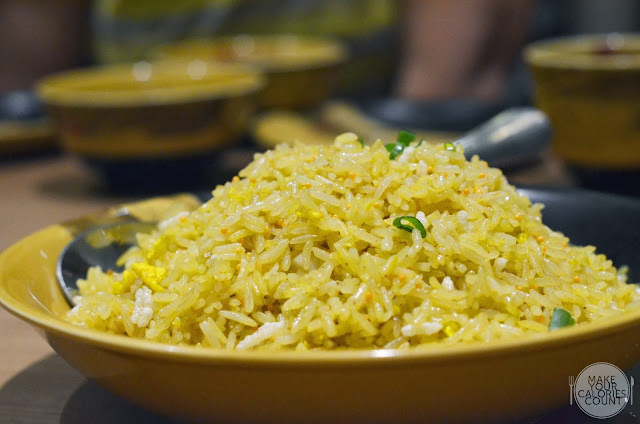 This has to be one of our top favourites when it comes to a simple dish like fried rice. Our other recommendation would have to be at Din Tai Fung. What makes this dish outstanding was that it has crispy rice grains within the usual fried rice. The wok hei was sublime and every grain was nicely greased. I personally find that the hardest dish to master is always seemingly simplest dish to cook. I am never quite a fan of those floral teas so I gave the fanciful teas a miss and had a nice pot of Chinese tea (S$1++/pax) and homemade barley (S$2.60/++) for the lady. There was a slight mishap in our orders as it was not sent to the kitchen. The floor manager apologized at length and took efforts to ensure that our orders were expedited. While it was a hiccup, the overall customer service rendered by the various servers was good and we had no difficulties trying to secure their attention. What drew me most and left a favourable impression was that the manager overhead me conversing in Cantonese and decided to strike a conversation with us in the same dialect. While returning my credit card after signing the bill, she also took the effort to address me by my surname and walked us to the exit before bidding farewell. 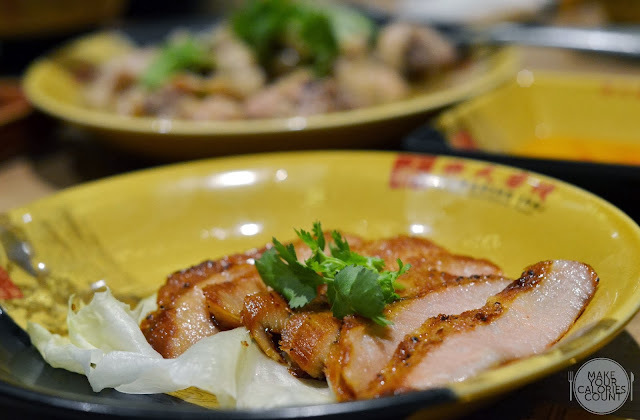 Among the many Chinese casual dining restaurants in Singapore, Paradise Inn has to be one of our top picks. The prices of the dishes are at an affordable range designed for the masses without compromising on the quality. Looking forward to trying the other restaurants within the Paradise Group! thanks for sharing! I tried the branch at mbfc two days ago for a business lunch and indeed the standard was consistent.